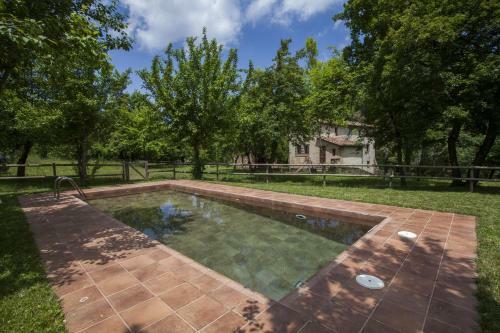 Offering an outdoor pool and a restaurant, Cal Xicot is located in Olot. The accommodation will provide you with a patio and a terrace. There is a full a kitchenette with a microwave and an oven. Featuring a bath, private bathrooms also come with a bidet. You can enjoy mountain view and pool view from all the rooms. At Cal Xicot you will find free bikes Other facilities offered at the property include a shared lounge, a games room and a tour desk. An array of activities can be enjoyed on site or in the surroundings, including cycling, horse riding and hiking. The property offers free parking. If you feel like visiting the surroundings, check out Garrotxa (6.7 km). 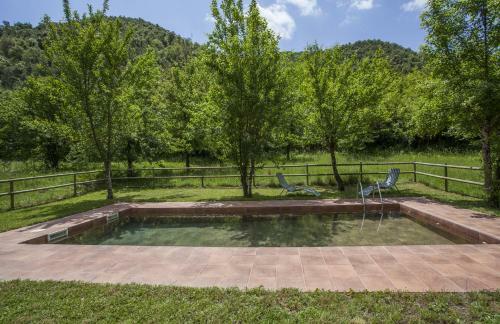 This holiday home is 36 km from Girona-Costa Brava Airport. Olot es la capital de la comarca de la Garrocha, un territorio que se extiende a los pies de los Pirineos de gran valor natural. En concreto, en los alrededores de Olot se encuentra el Parque Natural Volcánico, que con una superficie de casi 12.000 ha es testimonio de una milenaria actividad volcánica y sísmica que ha dejado una bella marca sobre el paisaje.